Google Reader might be mostly dead but my search for a replacement continues. Today I have an also-ran candidate that was a serious contender until the gray text on a white background started annoying me too much. Feedspot is not one of the many news readers inspired by the Readerpocalypse. It launched into a private beta in August 2012, and according to the Feedspot blog, this service just went into public beta last week. Click here for more Google Reader alternatives. At first glance this news reader is a near perfect clone of Google Reader. It uses a basic white background and separates the feed list on the left from the list of posts on the right with clean thin black borders. It has a well developed suite of features, including both an internal social network as well as support for other social networks. You can also search within feeds. It's currently browser only, but the developers are currently working on apps for Android, iPad, and iPhone. Other current projects include an API and searching within your feeds (already done). But as I really started using it I quickly realized that the gray text on the white background was killing me. The list of folders and feeds on the left is simply too difficult for me to read, much less scan quickly, and that renders Feedspot unusable (for me, at least). Other shortcomings include an inability to hide feeds and folders that don't have new content. Feedspot is also updating my feeds in some bizarre order that I don't understand; rather than sort all the new posts based on time and date Feedspot instead displays clumps of posts from each feed. One way to fix this would be to upgrade to Feedspot's paid service (this offers faster feed crawling, better tech support, etc), but it's not for me. And last but not least Feedspot responds to a click anywhere in the text of a post by closing the post. That might be their idea of the norm for web browsing but it differs from what I expect to happen on webpages. It also drives me up the wall. I’ve decided to use feedwrangler with readkit for the mac app (reeder for the phone). The worst part is that feedwrangler doesn’t use folders, but smart streams instead. I am using Bazqux. I had planned to use feedly but when it came down to the line I wanted a Google Reader clone. Agreed. I said I was using feedwrangler but I’m being dragged kicking and screaming over to it. I would much rather perfer to keep using NetNewswire and syncing with google reader. If they come up with a decent syncing option I’d be back to Netnewswire in a shot. There’s also no way to remove your name or discontinue your profile that is easily discernible. 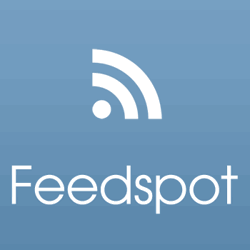 I got an email saying my blog has so many new followers at feedspot…c’mon over and sign up. I signed up with an account I use just for junk I’m not sure of, and sure enough. You can’t do much in there without upgrading to the premium version, and you can’t delete your profile. No, thanks. If there was a place to make a complain about them, I’ll be the first to do it! They are a SPAM app, that’s all.